Can I Vape If I Have A Bad Back? Better Than Cigarettes? 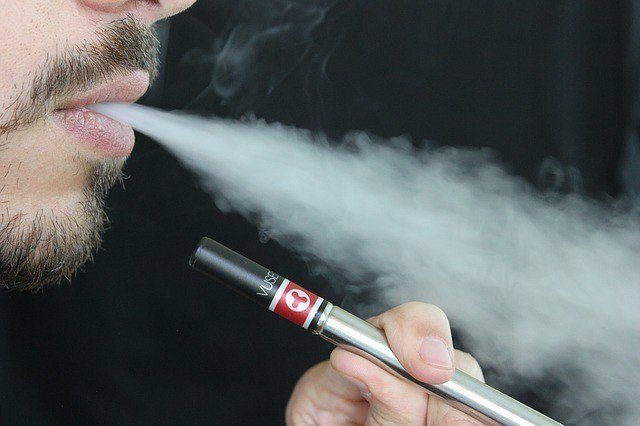 →Can I Vape If I Have A Bad Back? – Better Than Cigarette Smoking? Hey look, I get it, do your thing, take a puff of your juice, smoke or whatever it is millennials are calling it these days. That’s the inner you speaking though, did you pick up on that? I’m not telling you to do, Right now I’m just enforcing the thought on each one of our minds who have a bad back. And if you don’t have a bad back, luck you….right? Not exactly champ, and I’m about to speak to you as well. In this article, you’re about to get the full coverage on what Vaping can do for your back, what it won’t do, and the best alternatives. So why are we still wasting time getting to the good stuff? Lets go! What Is Vaping? And What Does It Have To Do With You? But An E-Cigarette Is Better Than Tobacco Right? Does Your Age Make A Difference? The Best Alternaive I’m Sure WILL AMAZE You! Great, someones about to educate me on what I already know….I get that, but I want to emphasize directly for anyone who hasn’t used a vaporizer too. So Give me a minute, you might just learn something you didn’t know already. Trending topics at the most, but do you really know what vaping is at its core? Vaping is the act of you inhaling and exhaling Aerosol, or otherwise better known as Vapor, produced by a source called an e-cigarette, a vapor pen, or a similar device. The term Vapor is heavily used in this regard because its differentiated from Tobacco smoke, in that it does not product tobacco. The heat is what I like to call in Chemistry, an entropy Thermochemistry reaction, please excuse my excitement for getting “terminal”. 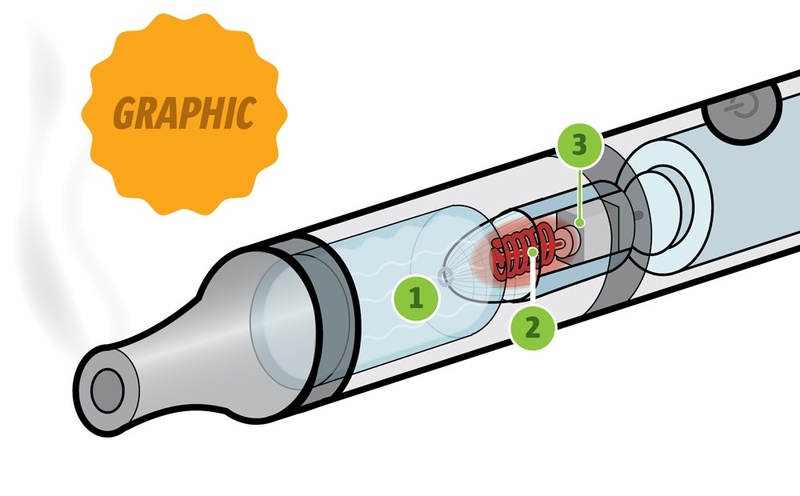 Simply put, as the heat source comes into contact with the e-liquid inside the cartridge, the level of energy increases, thus converting the liquid state of the juice into a gaseous form, thus into a vapor when you exhale. Although a vaporizer is usually know to blow out liquids, many people these days are starting to pack in THC(Marijuana) and synthetic drugs like flakka, instead of nicotine. Have you even started vaping yet? If you haven’t this will be a sweet ending, and if you are already puffing up some vapor into the air, then this will be more of a bitter sweet look. Straight forward, let me just tell you that if you haven’t vaped or been doing it regurlary, stay clear away from it! WARNING COMING. My cousins boyfriend is the Founder of Vaping, and at the time I was all in with one. This was when I was playing college soccer in California in Bakersfield. And I went down to orange county for a break to visit my aunts and uncles right. In doing so, I ran into my cousin, and they were like Hey Michael, Lets go to Torrance to get a vapor pen. No hesitation right. I didn’t mention that my back was already hurting from the bad bed in my apartment complex, nothing more than a mild pain. But being young, I was like I’m ready to huff and puff. So fast forward a couple days into vaping, I started feeling my back get stiffer and stiffer. My muscles were compacted to the point where I had no flexibility. A few muscle spasms got in the way too. Ilater found out that vaping dehydrated me. My disc were not being lubricated properly with water, my muscles were dehydrated, my joints were cracking. I was pleased from that experience to say that my pain was not chronic, OR ELSE! I think you can see the clear picture. The thing that Vaping increases is the rate of your loss of bone density. Many people think that e-cigarettes are a safer smoke than pipes, and other formats that tobacco is smoked in. The reality is that an e-cigarette or Pen, delivers Nicotine too, just in a concentrated flavored liquid form. According to the Center of Environmental Health showed the nicotine-free device were delivering acetaldehyde and formaldehyde, two cancer causing chemical agents. And to further explain the case of osteoporosis, it contributes to vertebral compression fractures, so its best if you already have osteoporosis, to not even attempt to try it, unless you want to increase the rate of delivery. One thing I keep responding back to people about is if their age and vaping have an indirect relationship, as being can I be physically well and not worry about puffing and puffing some. That was me years back. I went through the vaping phase, and then I dropped it literally a couple months after. My health was decent at the time, and I didn’t mind a sore back every now and then. So my advice to you is to take it with a grain of salt in your youth. For those of us that are adults and older with great health, I never said you shouldn’t do it, but lets say you were to try it out. I would say that if you’re a really physical person without a health concern, getting away with it a couple times while staying hydrated is the best case scenario. But remember that as we get older, it gets tougher to maintain our joints, muscles, ligaments, etc. You’re making big leaps, we just got through the thick of things, and now its time to turn your attention to the future. Natural medicine is as HUGE as its ever been, that there are not only 1,2,3,4, how about Hundreds of alternatives to vaping. 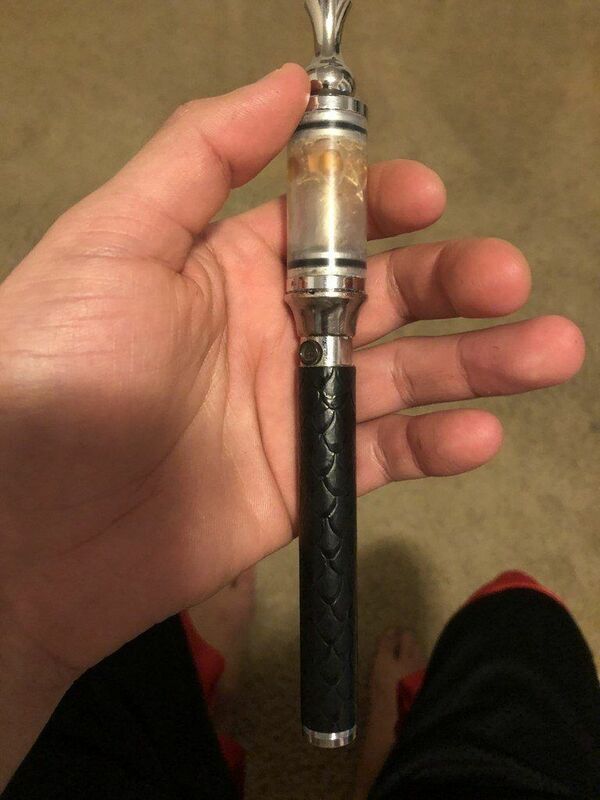 Let me introduce you to CBD Vaping. And the best of all is that it takes your mind off of nicotine. So if you are a smoker or a constant vapor smoker, CBD oil will help with an immediate transition. CBD oil has changed my own life for the better, and I’m thankful that instead of vaping THC or water vapor as I used to, I can now depend on CBD oil instead. Just Take A Look At My Results for a months use. So its not data, but rather an Image of myself, on New Years Eve of 2017. This photo speaks on many volumes, and what was happening in the background were a range of emotions. You see, at the middle of 2017 was when I started experimenting with more natural remedies, like Herbs, Essential Oils, Vitamins, and you guessed it CBD oil. It changed my life for the better, and I was able to move into 2018 with a new lease on my life. The fact of the matter is, I wanted to show you that this can be made possible for you. If you’re a regular “Vaper”, and you just can’t seem to let it go, CBD oil is the next closest thing to it. I have an article that will help you understand more about the nature of CBD oil and back pain as a mix. If you’d like to have a look at that article, make sure to have a look at my cbd oil for back pain article right here.